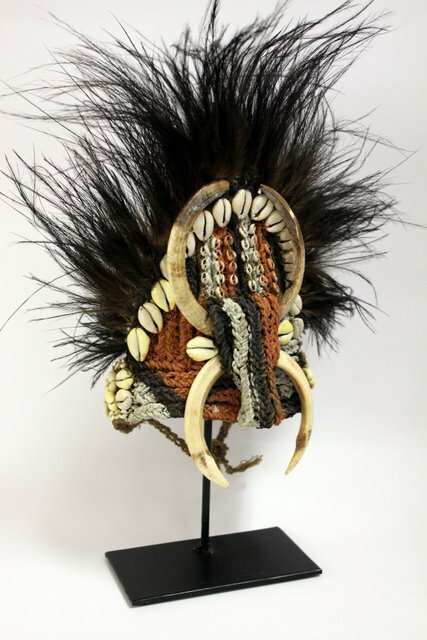 This headdress decorated with wild pig's tusks and feathers of the cassowary is made for ritual dancing ceremony and comes from small village in one of the most hard accessible districts of New Guinea. The dancer wears no other clothes except this headware. Papua, Sepik river valley, 20th cent.